An alleged notorious female marijuana dealer in Koko, Koko-Besse Local Government Area of Kebbi State, identified as Hajia Abu Musa, has escaped arrest of the National Drugs Law Enforcement Agency (NDLEA) officers in the state. 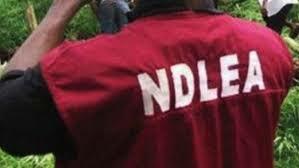 NDLEA operatives have, therefore, launched a manhunt for her. Daily Sun gathered that the suspect had connections with some strong power brokers in the state which had sustained her in the business for the past 20 years. An eyewitness told Daily Sun, on Thursday, that the Hajia Musa, sensing she was about to be apprehended by the secrete officers of the agency, following long term investigation into her activities in the state, abandoned her wares and took to her heels before the arrival of the security, on Thursday. The source, who preferred anonymity, told Daily Sun that “She has been investigating by the official of NDLEA for some times now but she escaped from again just like the manner she used to escape in the past from security agencies. She is still on the run now. When Daily Sun contacted Commandant of NDLEA in Kebbi State, Alhaji Suleiman Jadi, he confirmed the escaped of the suspect. Jadi’s words, ” We are looking for her now. She is well known as a notorious marijuana dealer in Koko community. All her exhibits are with us inside polyethylene bags. She is selling the drugs in pieces to her customers. We are seriously looking for her”.